Now is your chance to proclaim your little “new to the tours” life obsession…”I Luv Golf”!! 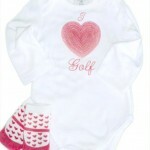 This adorable white long sleeve onesie says it all, from head to toe, in her heart, she is a golf lover!! 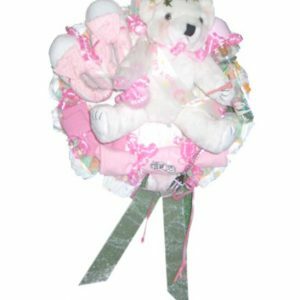 A sparkling sequined pink heart in the center chest area lets everyone know that she is a fashionista as well as a golf lover. 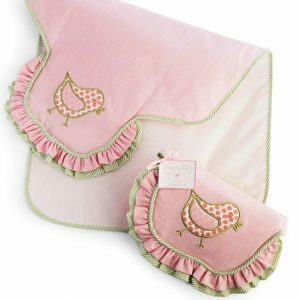 A pair of matching socks with pink hearts all over her sweet little toes completes the set and makes this the perfect set for the golfing baby girl. 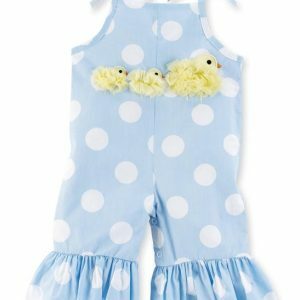 Cool, easy to maintain cotton fabric and snaps in the crotch helps make for easy changes at the clubhouse turn. 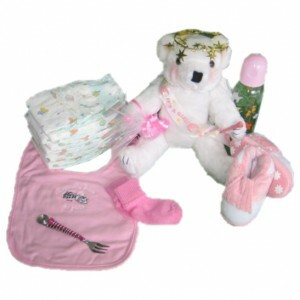 The ultimate shower gift for the golf loving parents and babies. Get yours today since quantities are limited! !